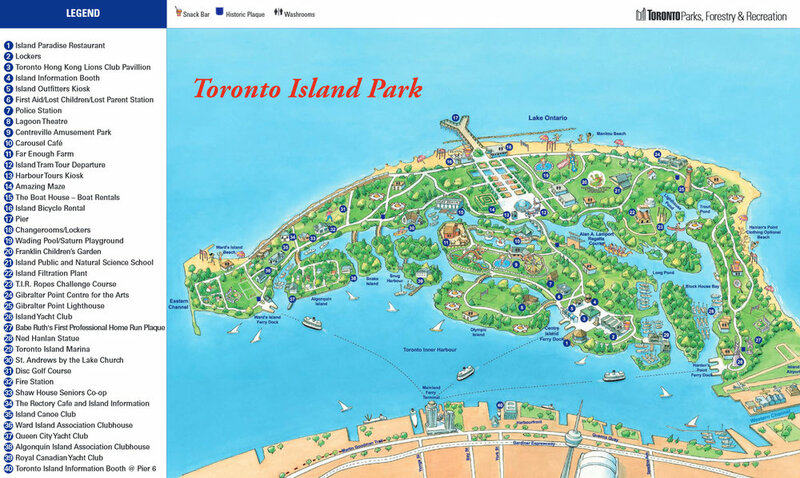 The word "island" might be a trigger word, but in the case of Toronto's very own, the trigger is justified. Undeniably, this is one of my favourite spots in the city...and it's not even in the city. Part of the fun of going to the island is taking the ferry! It's so exciting, being on a boat, especially if you're a little kid, because you know this boat is the portal that will take you to a fun place like Centreville. It's remarkably peaceful and there are NO CARS. Plenty of bikes though (do you see why I like it?). Many people come to the island and rent bikes or take their own aboard the ferry, either for a leisurely ride, or to cover ground. I'm always surprised at how big the island actually is, and this is likely because it is actually a grouping of 15 islands, connected by varying bridges. The collection of islands have three beaches : the Centre Island beach, Ward's Island beach, and Hanlan's Point beach (a nudist's paradise). The boardwalk stretches along the islands' edges, with breathtaking views that make one forget Lake Ontario is only a lake and not a vast ocean. But perhaps one of the most charming parts of this getaway destination is the cottage like homes that have been established here. I've heard so much about the elusive real estate on the islands. Supposedly there's a next to impossible waiting list, so long and competitive that it can take up to 35 years before even making it to the top ten. You'd be in better hands if it was a house in your lineage. You can read more about the process here. Nevertheless, the homes are sweet, quaint, untouched, and the people are friendly and quirky. It's a wonderful place and merely footsteps away from one of the most recognized views of the city. All of the best and most famous photos of the city skyline are probably taken from the island. It's the most vivid and clear to see all the buildings, but it's also on the same level, unlike Riverdale, which is on a hill. Below the city horizon is the lake and above it is the sky, both of which contrast the industrious city with its concrete towers and mega condos. 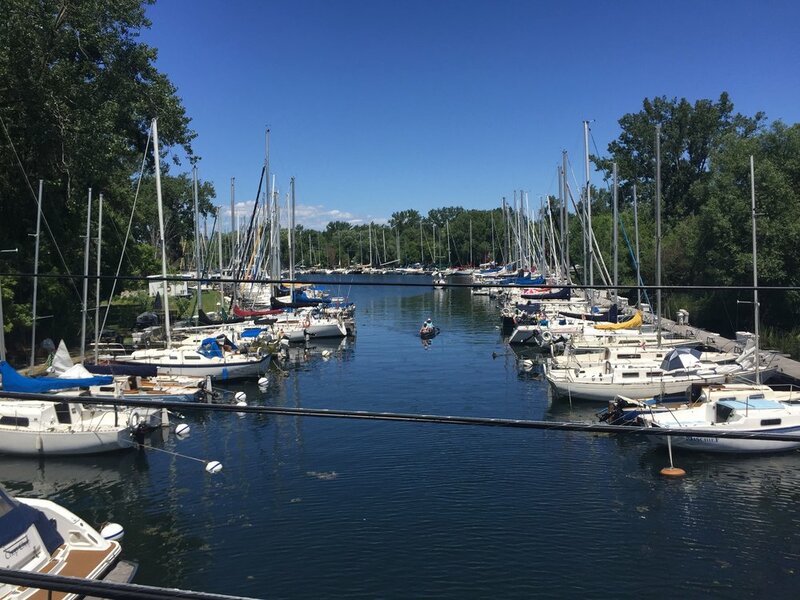 The serenity found on the Toronto Islands is remarkable, considering how close it exists to the actual city. When you look out onto the lake, you're amazed that a place so peaceful can be just a 15 minute ferry ride away from busy Toronto. Whether you have a half day to spend here, or a whole day to stay until the sun goes down, a trip to the island is worthwhile.